Mara Revkin is a Ph.D. Candidate in Political Science at Yale University, where her research focuses on governance and lawmaking by armed groups. Her dissertation examines the state-building project (and eventual state failure) of the Islamic State (IS) through multi-method data collection and analysis of archival documents, social media data, surveys, and interviews with key informants including former IS employees conducted during extensive fieldwork in Turkey and Iraq. 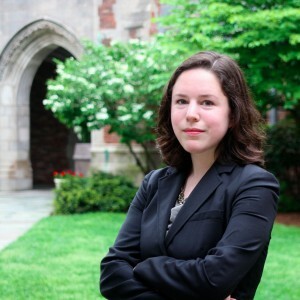 She is currently based in Istanbul as a Yale Fox Fellow and USIP Jennings Randolph Peace Scholar. Mara holds a J.D. from Yale Law School, where she was an Islamic Law & Civilization Research Fellow in 2016-2017. Her legal scholarship focuses on the treatment of civilians who have lived in areas controlled and governed by terrorist groups under international humanitarian law and domestic material support laws. Her work has been published in the Annual Review of Law and Social Science, the Oxford Handbook of Islamic Law, and the UCLA Journal of Near Eastern and Islamic Law, among others. She is the lead researcher on Syria for United Nations University’s forthcoming study on Children and Extreme Violence.